15,000 Gallons of Diesel an Acre? Joule Unlimited claims its magic microbe can generate that much diesel with carbon dioxide. Even in the often make-believe world of biofuels, the announcement by Joule Unlimited today is interesting. 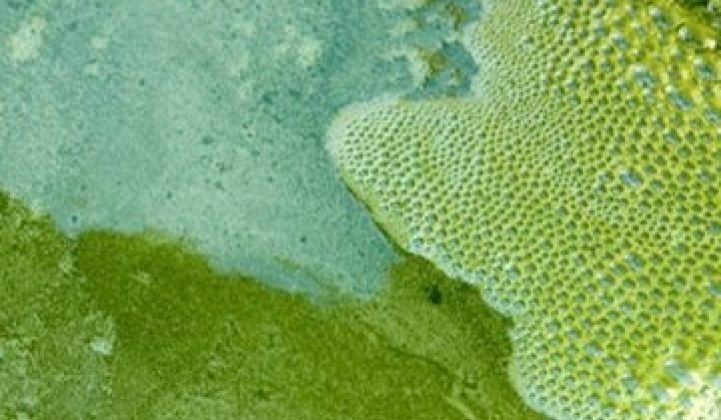 The company formally announced that it has obtained a patent for a genetically modified version of cyanobacteria that converts carbon dioxide, dirty water and sunlight into a liquid hydrocarbon that is functionally equivalent to regular diesel. (It also has a GMO that can produce ethanol.) The magic microbe does not need a feedstock to produce hydrocarbons, like the organisms developed by Amyris, which is prepping its IPO. The lack of a feedstock is why fuels like Joule's are called direct solar fuels. 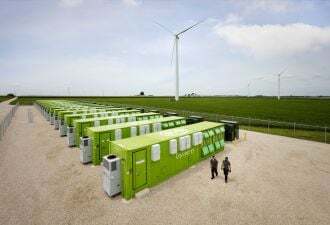 Other companies such as BioCee have been working on similar methods for metabolizing carbon dioxide into direct solar fuel, but clearly, obtaining a patent is a nice, substantial step forward. But what jumped out in the announcement to us were the production claims. Joule says its microbes can produce the equivalent of 25,000 gallons of ethanol per acre per year and 15,000 gallons of diesel per acre per year. Pilot production on diesel begins later this year. It says it has already shown it can produce 10,000 gallons of ethanol a year, or 40 percent of its goal, on its pilot lines in Leander, Texas. Those production figures are far higher than the usual industry claims, which at this point are still largely in the theoretical realm themselves. No one is in mass production with microbe fuels just yet. Most algae companies talk about producing the equivalent of 5,000 to 10,000 gallons of diesel-like hydrocarbons a year. Some researchers have noted that fuel production will be capped by the finite amount of sunlight that falls on a given plot of land. Then there are the practicalities. Joule grows its organisms with water and companies, including the now-defunct Greenfuel Technologies, have found that separating organisms and/or their byproducts from water isn't easy. Organisms, many critics note, also can't produce fuel as fast and in the same quantities as thermochemical processes. Cambrios Technologies started out as a company that designed bugs to develop green chemicals. The company found it was easier to produce the chemicals the good old fashioned way and spun off its biological division into Siluria. If Joule can achieve these numbers, it could leap to the front of the biofuel pack. The fact that Joule says it can produce hydrocarbons and an alcohol like ethanol is intriguing too. Organisms will naturally produce alcohols. Hydrocarbons are somewhat unnatural. But if it experiences delays and production problems, these could be just another set of nice numbers. Side note: 'Joule Unlimited' replaces Joule Biotechnologies as the official name. It does not comes a a result of any merger with Barry White's Love Unlimited Orchestra.